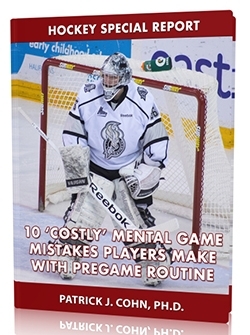 Every period that you are shutout seems to ingrain your scoring drought further in your mind. Soon, you are so desperate to score a goal that you force play or hurry shots rather than being patient and working for scoring opportunities. For example, when your team is going through a scoring slump, you might feel so much pressure to score a goal that you try to do too much or force shots. Instead of settling into the zone, many players might try to crank out a shot or make a fancy pass to a teammate who isn’t in position to really do anything with it. Sometimes, you need the patience to walk the puck in or pass it back to the blue line. Over a five-game losing streak in early March, the Avalanche were only able to muster up three goals and were outscored by a total of 18-3. If you can’t score, you can’t win and it usually takes three or more goals a game to get a win in the NHL. Avalanche defenseman Tyson Barrie admitted the team was frustrated due to their lack of production. 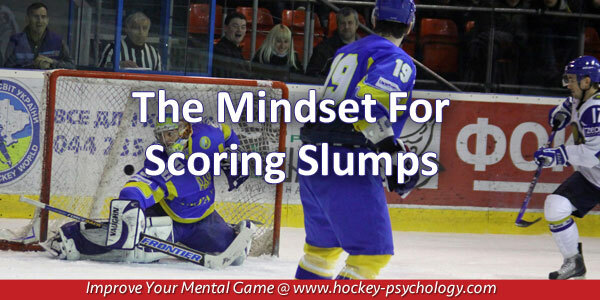 Focusing on a scoring slump can be overwhelming and keeps your mind in the past. 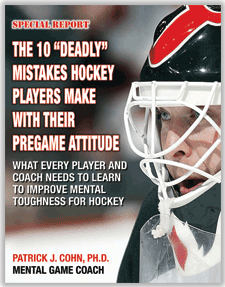 The only effective method for scoring is to focus one shift or one play at a time. Letting go of your scoring slump and focusing on task helps you be patient and see the opportunities in front of you. 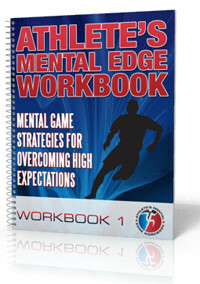 What is a scoring mindset? It requires that you focus forward looking for opportunities. It requires patience instead of trying to score every time you pass the blue line. It requires persistence getting the puck towards the net where rebounds and tips increase your chances to score. It requires you to leave missed scoring attempts in the past. Of course, when you can’t seem to even buy a goal, your focus may be to end the slump but that only serves to keep your mind in that slump. To end scoring droughts, you need to look for opportunities (a positive focus) rather than looking to end the slump (a focus on the problem itself). Think about the difference in mindset when you are in the offensive end on the ice and when you are in a pregame shoot-around. In a shoot-around, your mind is focused on just shooting (the present) and in game situations you are over-focused on scoring (the future). If you immerse yourself in the present and play by feel, you let your natural ability take over. If you keep knocking at the door, eventually a shot will find the back of the net. 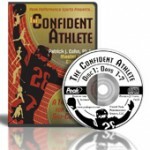 Learn all my secrets for proactive confidence with The Confident Athlete CD program. What are sports parents and athletes saying about our tips? What are mental coaches saying about our program?